James Suckling is one of today’s leading wine critics whose views are read and respected by wine lovers, serious collectors and the wine trade worldwide. Suckling spent nearly 30 years as senior editor and European Bureau Chief of The Wine Spectator and European Editor of Cigar Aficionado. 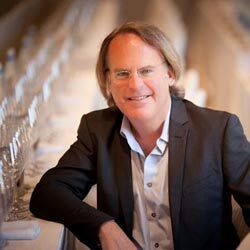 Forbes recently called the Los Angeles-born writer "one of the world’s most powerful wine critics." Suckling developed his taste for great wine thanks in part to his Beverly Hills attorney father, who, as he says, "always drank great wine at home and was happy to share with me at an early age." He left Southern California to attend Utah State University before moving to Madison, WI, to work on a master’s degree in journalism. He worked at night as a police reporter for The Wisconsin State Journal while attending graduate school during the day. After returning to Southern California in 1981, Suckling responded to an ad in the Los Angeles Times, which stated the fledgling Wine Spectator was looking for an assistant editor. He was hired in San Diego and subsequently relocated to San Francisco with the magazine in 1982. In 1985, Suckling moved to Paris to establish Wine Spectator’s European bureau, which put him in the center of European wine production and cemented his relationships with a variety of vintners, as well as contributed to his expanding knowledge of wines throughout the continent. In late 2010, Suckling launched JamesSuckling.com a site which evolved from Suckling seeing a need for wine to be communicated in a more modern way. The site offers subscribers high-definition video content shot by James Orr — a Hollywood filmmaker whose work includes Father of the Bride and Mr. Destiny and whom Suckling met while smoking cigars in Havana in 1995 — and hosted by Suckling that reports on and rates the best wines from around the world. Video tastings, which Suckling conducts in vineyards and cellars with winemakers, give viewers a firsthand account of the wines and allows a more spontaneous style. None of it is scripted," he says. "It’s fun, off-the-cuff, and you get to see the people, the place, and the product instead of just trying to imagine what it looks like. "It’s about communicating in a different way that is not one-dimensional," Suckling continues. "We can reach out globally to new audiences and show them exactly where these great wines are coming from." While this includes filming extensively in Europe, the region Suckling has come to know so well, it also incorporates wines and wineries from around the rest of the world, specifically South America and the United States. He has lived in Tuscany since 1998 and is consider one of the world's experts on Italian wines. Each year he tastes close to 3,000 Italian wines with a special emphasize on Tuscany. 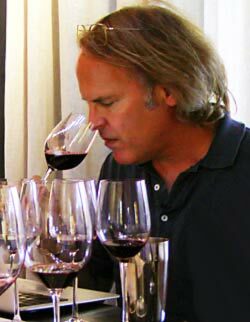 He estimates he has tasted about 150,000 wines in his career as a wine critic. His work can be found on his new website www.jamessuckling.com as well as Hong Kong's Asia Tatler as wine editor. Suckling is the father of two children, Jack and Isabel Suckling, a choirgirl signed by record label Decca in 2010 at age 12, becoming the youngest classical recording artist to date. He currently splits his time between homes in Tuscany and Los Angeles when not on the road shooting content for his website.